Annie Up the Gold was born March 20, 2006. She is a palomino filly by Guaranteed Gold out of This is for Gran, our mare by Birdonthewire. 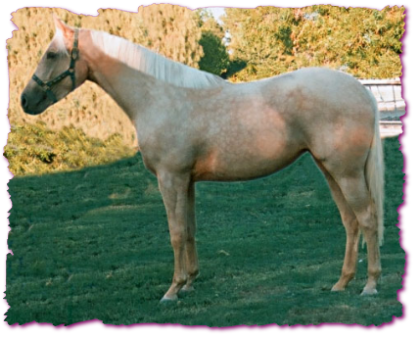 Annie Up the Gold is a beautiful filly that should shed out to a a deep golden palomino. Annie Up the Gold has been sold and is doing great in her new home. Here is a link to her web page. Annie Up the Gold at her home at Color World Ranch.